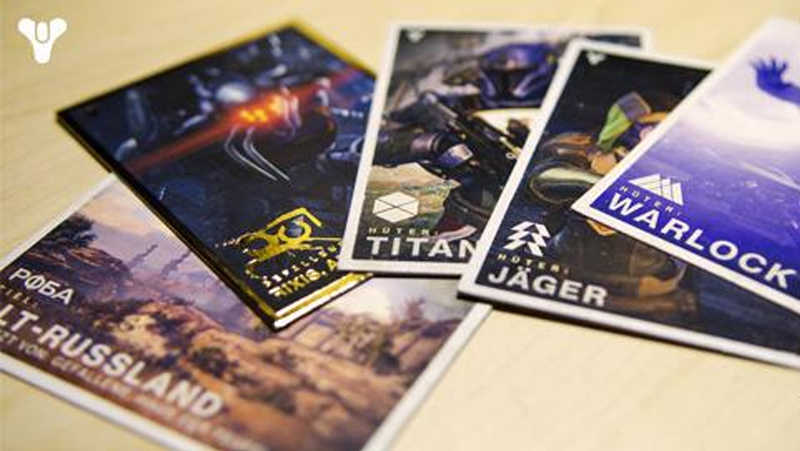 Bungie's upcoming Sci-Fi FPS/RPG/Kinda-Sorta-MMO extravaganza Destiny is out next year, and throughout events in 2013 they've been handing out little trading cards with codes for redeemable 'mystery' content on them. Turns out those codes are universal, so hey - might as well get some free stuff if you're in! 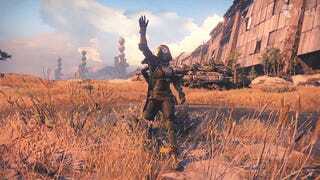 All you have to do to redeem them is go to Bungie.net and log into your account - you can do this by logging in via Windows Live/Xbox, PSN, Facebook or Google - and then go to your Profile, followed by the 'Redeemed Codes' (it's where, if you've already pre-ordered, you'd input your code for beta access) tab, and onto the Destiny Code Redemption page. Then just paste in the 9-digit code, redeem it, and repeat the process - they'll show up on your 'Redeemed Codes' page as the Collector cards 1-10, with a message saying 'Check back in 2014 to see what you've unlocked!'. Who knows what they're for - gear, weapons, customisation options, vehicles, titles, quests, giant space hamsters - but you can't go wrong with free stuff, right?